Captain Moses and the crew set sail at 5:30am. 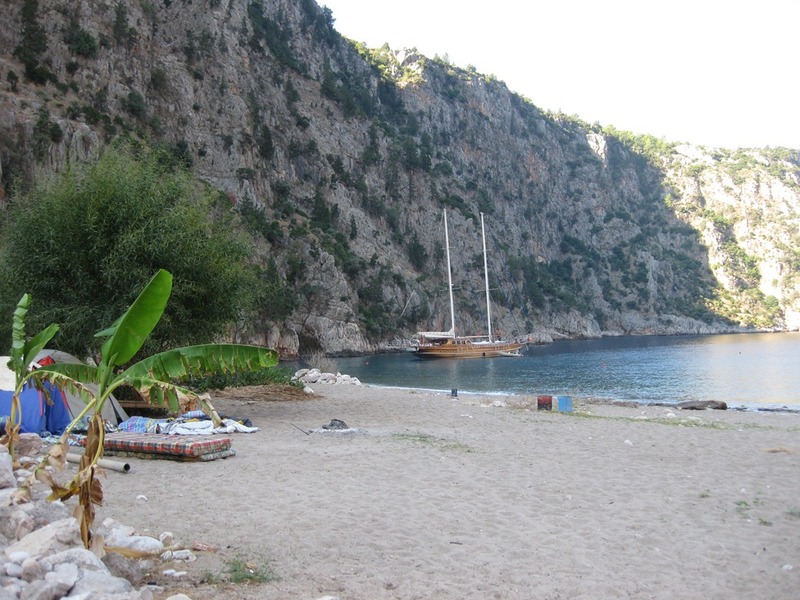 We sailed for a few hours and finally came to settle in Butterfly Valley. What a spectacular surprise! It’s a very narrow valley with steep cliffs, like a fjord. We ate breakfast and then some of us went for a swim. Others went to shore and took a hike to the waterfall in the center of the valley. At 11:00am we set sail for an area called the Dead Sea, known for it’s exceptionally calm waters. 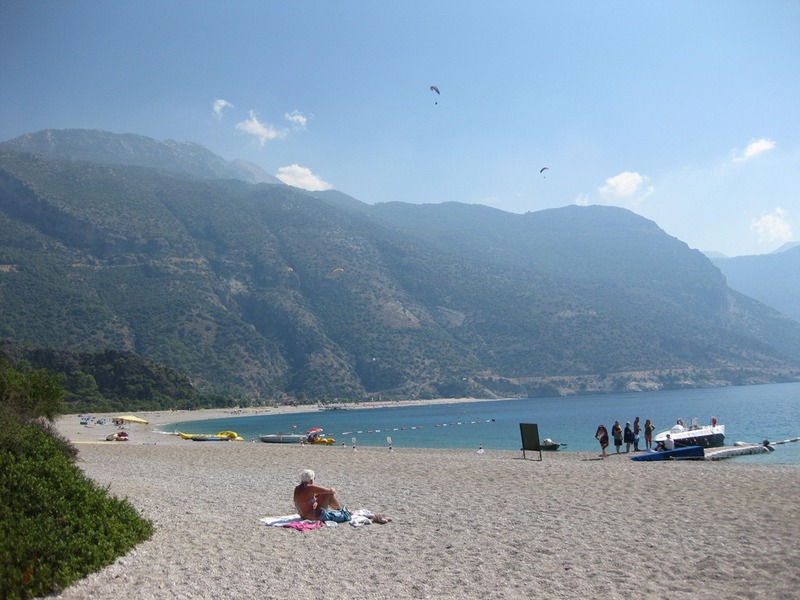 We swam in the lagoon, sunbathed, and watched dozens of parasailers coming off the surrounding mountains. A lovely man in a small fishing boat came by the ship and sold us some ice cream bars out of his cooler. Mmmmmm… Chunky Monkey! Gail, Serpil, Claudia and I took to swimming. Lead by Claudia, who coaches synchronized swimming, the four of us put together a pretty great routine. (no, you will probably never see it). Our team is called The Syncettes. 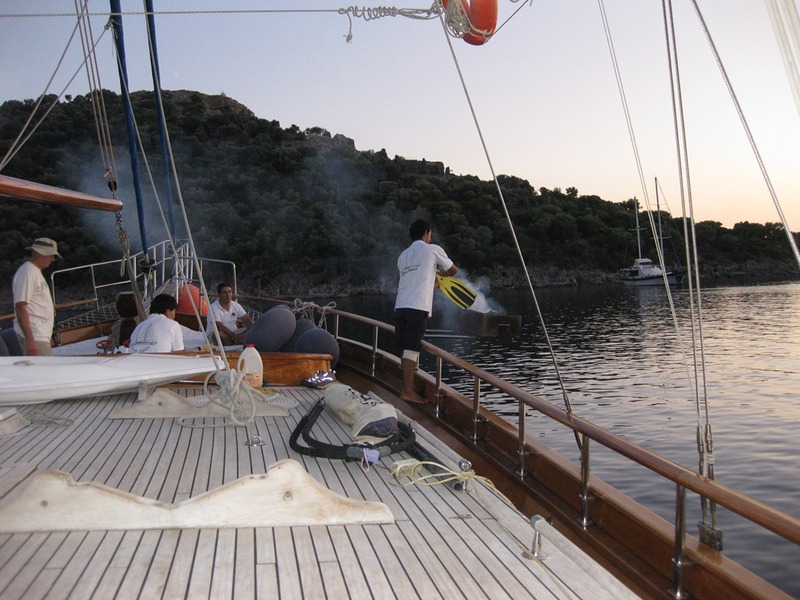 In the afternoon, after some more R&R, we set sail for our evening resting spot near St. Nicholas Island. Some of the group went on shore to explore the ruins of this Byzantine era city. 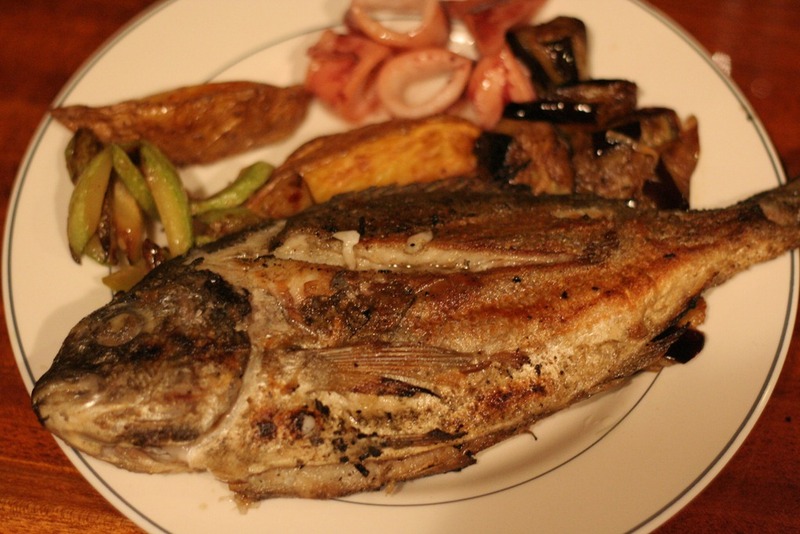 For dinner, the crew started up the BBQ and made some wonderful fish.